If you’ve been keeping in the know within the world of startups and digital marketing, then you’re most likely familiar with the term growth hacking/hacker. But have you heard of the new type of hacking, which is content hacking? In this day and age where content remains king of everything, a content creator has to continuously evolve in order to keep up with the ever-changing times. A content marketer can’t be stuck with old, tried and tested ways to craft content and instead, they’d have to continuously search for ways to hit publish on pieces and posts that get better and better every single time. This is why simply being a content creator or marketer isn’t enough to sustain a business nowadays. What your business needs to thrive and succeed is to have a content hacker on board. But what is content hacking in the first place? Let’s go find out! To understand what content hacking is and what it takes to be a content hacker, we first have to go back to its roots, which is growth hacking. That description may be too much of a mouthful but simply put, a growth hacker is someone who utilises creativity and analytical thinking to find new and disruptive ways to promote and sell products/services, while making use of social metrics to measure their efforts as well. So how does growth hacking contribute to what content hacking is all about? Simple. Content hacking is the result when you combine content marketing and growth hacking. And it is through being a skilled content hacker that businesses and brands can thrive in today’s competitive game of content creation. What Does it Take to be a Content Hacker? It’s true that it is in utilising the skills of a content creator and having the mindset of a growth hacker that makes a successful content hacker. But what other characteristics are needed to be a content hacker? We’re breaking down the key elements of how to be a successful content hacker and why you’ll come to realise that it’s more of a mindset, rather than a toolset. When you say that someone is “growth-minded,” it means having the vision, drive, and creativity that it takes to increase traffic, leads, and conversion rates. A content hacker doesn’t just create content for the sake of creating. They create content with purpose and measurable goals in mind. The content they craft has to amount to something–perhaps increased foot traffic, virality, more likes/follows, or what have you–that would spell growth for the brand or company they represent. Content hackers see every step they take as an opportunity for growth. Suffice it to say, they are very much opportunistic, in the sense that, they take advantage of contacts, networks, meetings, and leads and turn it into solid connections that they can benefit from in the future. Of course, this is done by offering something in return as well. For example, turning a contact into a connection can be done by offering to do a guest post on another business’ blog and in return, you can have inbound links for your site. SEO should be far ingrained within a content hacker’s arsenal. Even as a content marketer, SEO is an important element that should always be involved in creating content. And as a content hacker crafts and works on producing content, they should be able to properly assess the best optimisation techniques needed to give their business that extra boost. On top of this, a true content hacker doesn’t just stop once they’ve hit publish on their content. They continue the work by measuring the reach and effectiveness of what they’ve created, identifying which aspects to replicate and which ones to improve on. Scalability is of utmost importance for content hackers and it’s a continuous cycle they embark on in order to come up with the very best content to produce. In line with having a growth mindset, a content hacker also makes sustainability their goal. This means that in creating their content strategy, a content hacker is rightfully focused on planning not just for the near future and immediate results, but also for long-term success of the brand through content creation. 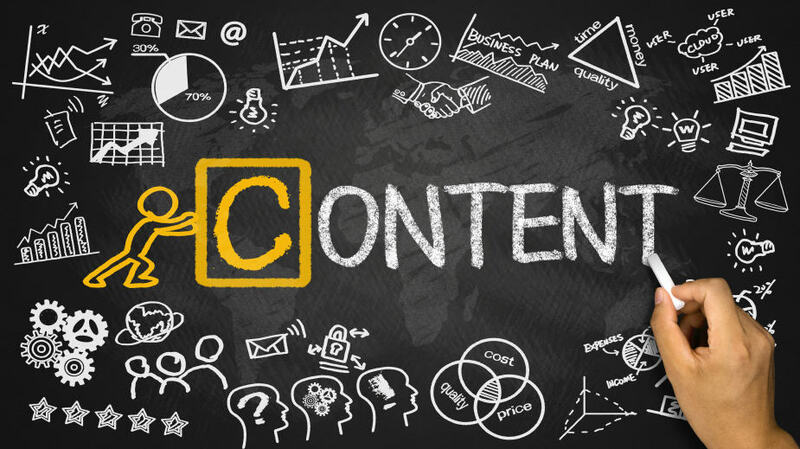 Having sustainable content means that they’ve managed to identify content that’s tailor-fit to their target audience, which in turn allows for continuous engagement from readers and customers. So what is the bottomline mission for a content hacker? It is in having sharable content. Having sharable content entails different factors that play into creating a really engaging piece of content. This includes, but is not limited to, having supporting graphics and images, creating customised or localised content, putting in videos, having a higher word rank of up to 2,000 plus words, headlines that start with numbers, and so on and so forth. All of these are part of continuous building on the benefits of their content, even long after they’ve published it. Think of a content hacker as a content creator on steroids. And those steroids are comprised of growth, metrics, and sustainability. More than relying on tools, being a content hacker is all about having a focused mindset. A mindset that’s eating, breathing, and living growth day in and day out as they plan, craft, create, and publish content targeted to engage their audience. Therefore, in saying this, being a content hacker is not so much paying for software programs or increasing knowledge. Those are just a part of it. What it truly takes to be a successful content hacker is in changing and upgrading to having a growth mindset and apply that to every step of the content creation process.